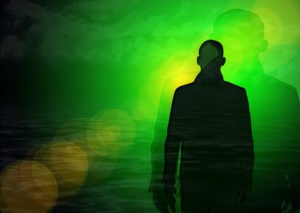 The Soul Through Time and Space: Examining the Evidence-Based Practice Considerations of Transpersonal Psychology, Tuesday, 6-25-19 (Live Webinar) « CE You! Rev. Karen Herrick, PhD guides participants through the perspective of Transpersonal Psychology theory, examining the spiritual side of human behavior. While most religions and cultures in the United States and around the world share the common concept of a “soul”, this presentation explores various facets of consciousness as studied by Jung, Maslow, Freud and James, examining how associated events, such as Near Death Experiences (NDEs) impact social interactions and individual mental health as well as relationships. Rev. Karen E. Herrick, PhD, LCSW, LMSW, CADC, ACMHP has shared her clinical expertise for thirty years in her private practice by lecturing throughout the United States on dysfunctional and addictive homes, disassociation, grief, and loss from a Jungian psychological perspective. Since 1995, her Interfaith ministry has been actively involved in Spiritual Psychology, specifically in naming spiritual experiences and working with chronic grief. This has led her to studying the bidirectional system of the vagus nerve. While physically important, it is also through this nerve that we receive intuitive and spiritual messages. She is a lecturer with CEYou.org, providing webinars for professionals and others interested in Jungian psychology, spirituality and the soul.